Overall there has been a fall over -4% in the total value of book sales. Lagardere Publishing, Hachette's parent group, have seen their turnover fall by 5% in the first nine months of 2010. Though the plateauing sales of Stephanie's Meyers twilight series has been partly to blame, Hachette also cited 'challenging retail conditions' as a problem. Despite this Hachette continues to hold it's position as the leading publishers with a market share of 16.6%. 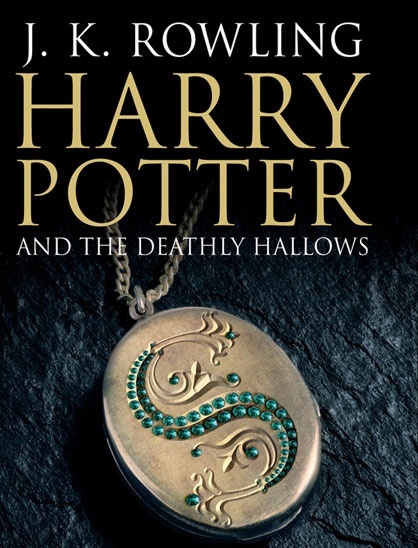 Penguin is the only publishers of the Big Four to have an increase in sales for the first three quarters of 2010. Harper Collins saw the biggest decline with a drop of -7%, Bloomsbury too dropped by -7% but their market share dipped only slightly from 2.0 to 1.9%. Although they managed to hold on the their market share of 13.2%, Random House sales were down by -4%. Canongate dropped drastically by -45% despite digital sales being ahead of the publishers expectations. Simon & Schuster and Quercus sales both increased, as did Pan Macmillan. There has been speculation in bucket loads this week about the possible return of Harry Potter. In an interview with Oprah Winfrey, when asked about a potential for a new Harry Potter book, J K Rowling said: "They're all in my head still. I could definitely write an eighth, a ninth book." When asked if she would write another book, she replied: "I'm not going to say I won't. I feel I am done, but you never know." In the same interview Ms Rowling also revealed that she turned down an offer from Michael Jackson to turn the books in to a musical. 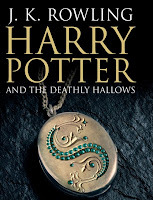 Harry Potter fans are, of course, eagerly awaiting the release of the penultimate film on the 19th of this month. Negations for a 'X-Factor style' television show entitled Britain's Next Bestsellers for the People's Book Awards are continuing. Current plans involve thirteen one hour shows involving author discussions and celebrity guests with the hope of glamourising books and engaging more of the public in books. The hugely popular and prestigious Hay Festival hits India for the first time this week, from 12-14 November. The literary festival makes its Indian debut in Kerala with over 50 authors in the line-up, including Mani Shankar Aiyar, Gillian Clarke, William Dalrymple, Tishani Doshi, Marcus du Sautoy, Simon Schama and Vikram Seth. I hope you all had a lovely weekend, and that your Monday isn't too depressing!